Over the past couple of years, I have learned a lot about sensory play. From sensory bottles for babies to sensory bins for toddlers and preschoolers, you name it and we’ve tried it. 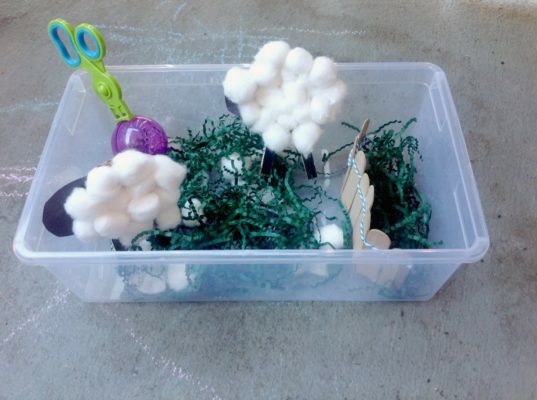 Using tactile sensory activities can help children learn to read, write, understand their body’s senses, and develop fine motor, as well as critical thinking skills. 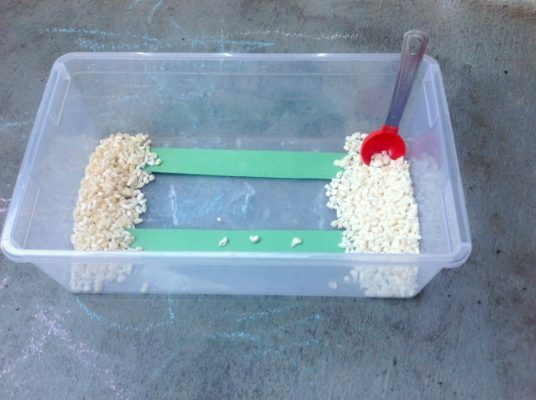 It is especially for those who are tactile learners, and learn best from manipulating objects. 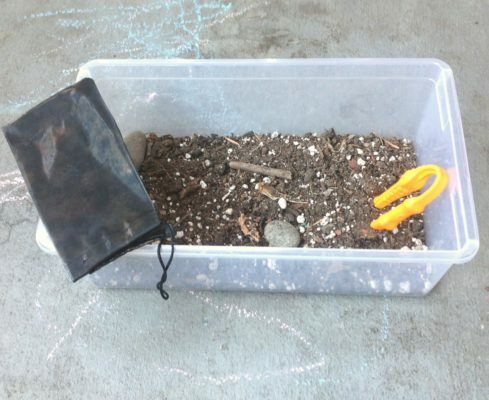 A sensory bin is small, usually plastic, bin or tub with materials inside that stimulate the various senses. 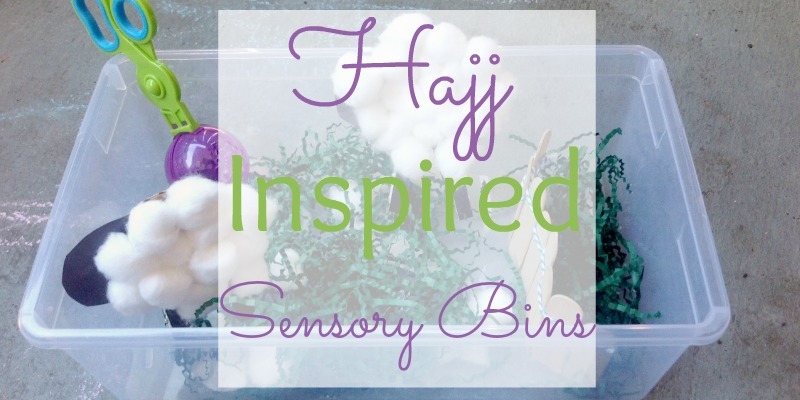 Without fully understanding the benefits of sensory play at first, I got drawn to sensory bins as it was generally easy to clean up, since things would be confined in the bin. But more importantly, I liked how it engaged my children for long periods of time, while keeping their concentration. Introducing subjects like Hajj is always difficult with preschoolers and toddlers. After reading the story of Prophet Ibrahim and Ismail, I wanted to introduce some of the Hajj vocabulary and because sensory play is a part of our daily schedule, I thought a hands-on experience will help them really process it. Storage: To make it realistic I used sun glasses pouch. 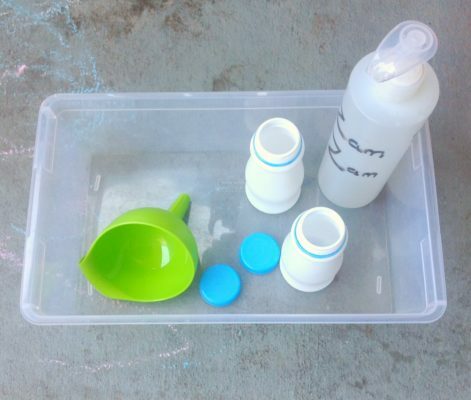 Storage: Funnel and small bottles (we used empty smoothie bottles). If you want to have something more realistic, you can use a 1 pint milk container. So far, the kids are really enjoying these activities, and as you may have guessed it, their favorite sensory bin is the ‘Zam Zam well’. Water is always a big hit 😉 . 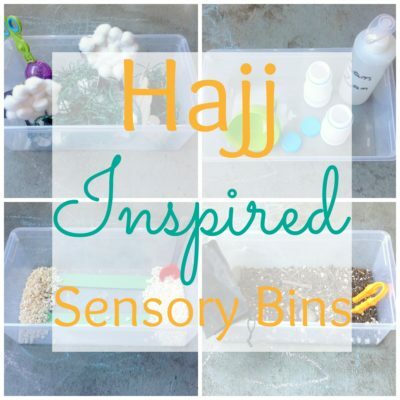 Which of the Hajj inspired Sensory bins would your child like the most?